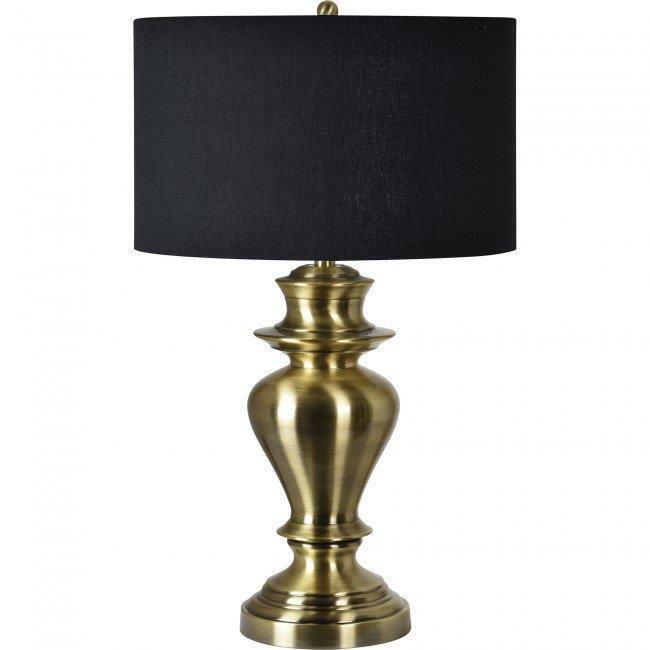 The urn-shaped silhouette of this traditional table lamp draws inspiration from antique store wares. Surrounded by a black linen lampshade, the shapely iron lamp base is finished in antique brass, its gilded luster covering the pedestal in a shiny gold patina. The classical lamp offers enduring illumination as it dresses up a desktop or table.